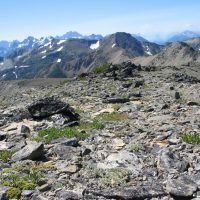 In Washington, snow cinquefoil is a relic of a much colder period, when glaciers covered the northern part of the state. 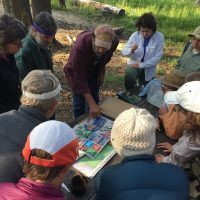 The UW Botanic Gardens is a member of the Center for Plant Conservation (CPC), a network of botanic institutions whose mission is to prevent the extinction of U.S. native plants. The CPC was founded in 1984 and operates the only national program of ex situ conservation of rare plant material in coordination with 40 leading botanic institutions. 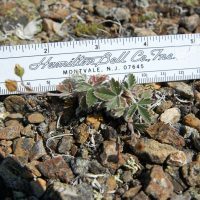 They maintain the National Collection of Endangered Plants with over 1,400 species represented and also conduct research, restoration, education, and advocacy programs. 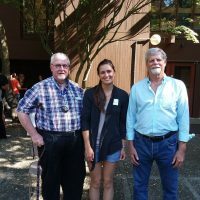 The John A. Wott Botanic Gardens Endowed Fellowship was awarded this spring to Sarah Shank, a first-year Master of Environmental Horticulture student at the University of Washington School of Environmental and Forest Sciences. 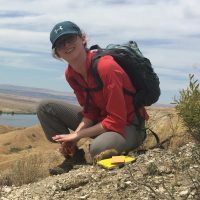 A native of Pennsylvania, Sarah recently moved to Seattle for graduate school and is enjoying the opportunity to learn about the diverse flora of the Pacific Northwest. 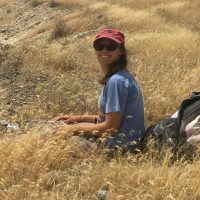 Although she pursued a fine arts degree, she worked as a gardener throughout her undergraduate career and eventually found her way back to horticulture post-graduation as a nursery horticulturist. 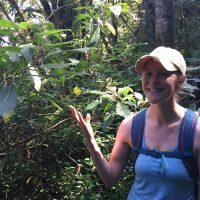 Stacy Kinsell is the Volunteer and Outreach Coordinator for the Rare Plant Care and Conservation Program (Rare Care), but it hasn’t been a straightforward path to get there. Kinsell’s undergraduate work was in social work and urban studies. After school, she packed up for an adventure in a new city far away from her native Georgia and moved to Seattle. She quickly fell in love with the city, but not the career and after a few years of working in her new field, Kinsell was feeling burnt out.